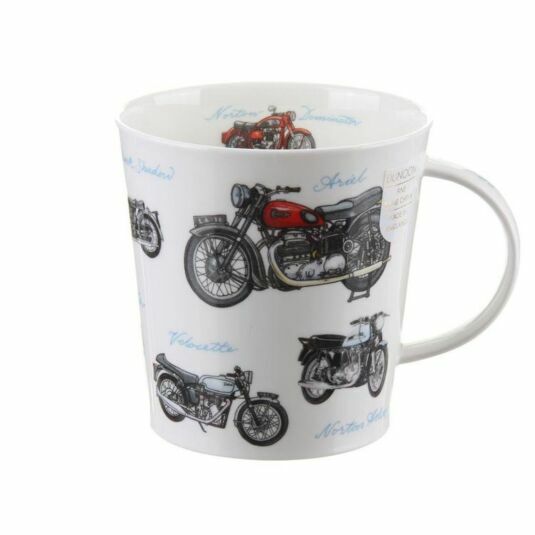 If you like bikes then you are sure to love this mug. 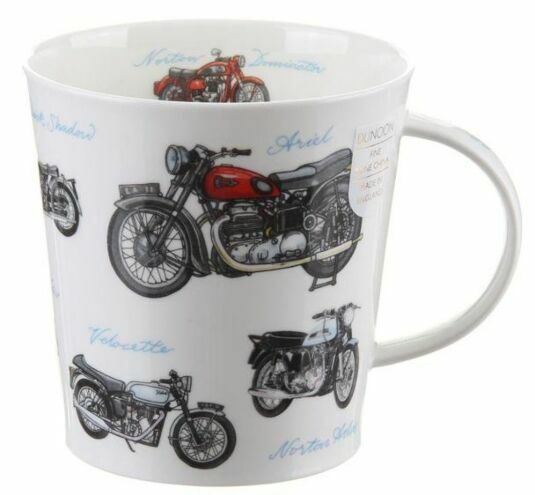 It features images and the names of a range of classic bikes all around the outside, and a smaller image on the inside. It is part of a set of 6 designs for the Cairngorm shape. Perfect if you are looking to add something new to your Dunoon collection, or as a gift for someone with a passion for bikes.